, speculation abounds over how software will be offered and whether there will be a vetting process to ensure users receive high-quality programs. According to iLounge, Apple has already set the specifics of its plan in motion and will announce the details on Thursday. 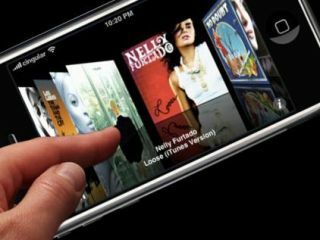 It says that Apple will "require that all mobile applications be distributed through its iTunes Store, making the Store a necessary hub for those interested in browsing or purchasing iPhone and iPod touch software". iTunes will play a key role in third-party apps, but docking stations and other hardware peripherals will not be available for use by programs, iLounge claims. Apple will also act as the "gatekeeper" for all iPhone applications. It will ensure that all software meets its standards by "deciding which are and are not worthy of release, and publishing only approved applications to the iTunes Store". iLounge said it's unsure of how long it will take for Apple to make decisions on whether or not it will certify applications. But it did confirm that the SDK will be released at theiPhone Software Roadmap media event scheduled for Thursday.